Dr Cecily Maller is a Vice Chancellor’s Senior Research Fellow in RMIT's Centre for Urban Research (2016–2019). As co-leader of the Beyond Behaviour Change Research Programme, she studies human-environment interactions, sustainability and health in the context of everyday life in urban environments. 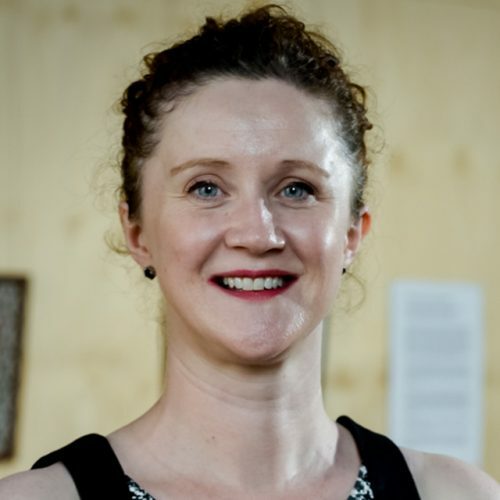 Cecily is Deputy Theme Leader for Liveability in the Clean Air and Urban Landscapes Hub with colleagues from RMIT and the universities of Melbourne, Wollongong and Western Australia (funded by the National Environmental Sciences Programme until 2020). Recent projects include a five-year project with VicHealth and industry partners exploring how best-practice planning affects residents’ health and wellbeing in a master-planned estate in Melbourne. Previously at RMIT she has researched social practices involving energy and water use in culturally diverse households and studied green renovators and housing sustainability in low-income households. Cecily has published widely on the health benefits of contact with nature, including as lead author on the Healthy Parks, Healthy People report (Parks Victoria 2002, 2008) and several highly cited journal articles. Recently, she co-edited a book on interventions to improve sustainability titled Social Practices, Interventions and Sustainability: Beyond Behaviour Change (Routledge, 2014). Before joining RMIT, Cecily was a social scientist for the Australian Department of Agriculture where she managed research projects commissioned by policymakers on change in rural industries and communities. She has conducted social and environmental research for Australian universities and governments since 1998. Cecily has a BSc Hons in Environmental Studies (Behavioural Ecology) and a PhD in Health Promotion on contact with nature and children’s mental, emotional and social health (funded by VicHealth). People-environment relationships, theories of social practice, sustainability and everyday life, housing and health and wellbeing, qualitative research. This project aims to establish a network of integrated urban greening study sites to understand, quantify and qualify the multiple benefits of urban greening, including for biodiversity outcomes and for human health and wellbeing. Reflecting the ethical turn in consumption, meat promoted and labeled as ethical, humane and/or sustainable has emerged as an apparent solution to increasing concerns. This project sought to understand the carriage, (dis)integration and transferral of international students’ comfort practices on arrival to Australia. This project explored how established migrant families in Melbourne and Sydney conceptualise waste, energy and water consumption in the context of their everyday lives. This project explored how the planning and design of a new residential community can influence the health and wellbeing of future residents.